A 5-km runway is coming-up at the nation’s spaceport, Sriharikota, to facilitate the landing of Reusable Launch Vehicle. CHENNAI: A 5-km runway is coming-up at the nation’s spaceport, Sriharikota, to facilitate the landing of Reusable Launch Vehicle (RLV), which is under development. 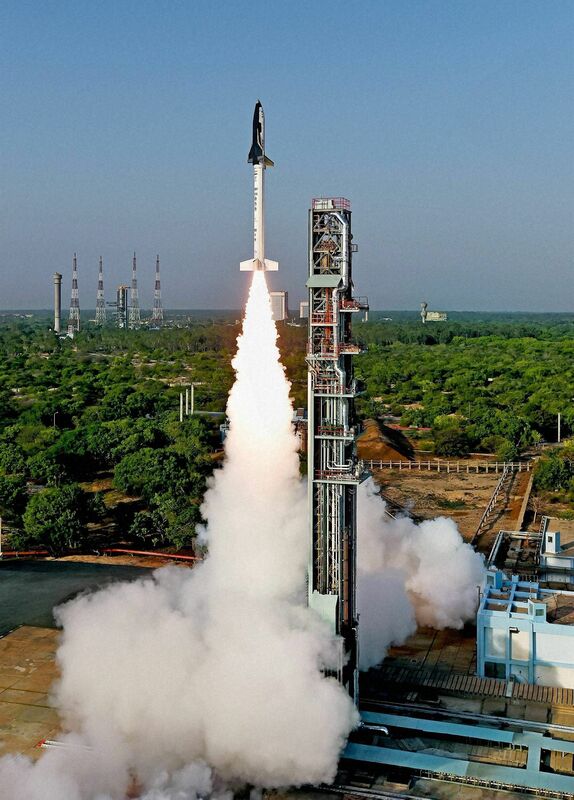 The project report, which has been readied a couple of years back, is likely to be fast-tracked following the success of the first Hypersonic Experiment of RLV on Monday. ISRO sources told Express that a site has already been identified near the Augumented Satellite Launch Vehilce (ASLV) complex. ASLV is now non-operational. After the Hypersonic Experiment, there would be landing experiment (LEX), return flight experiment (REX) and scramjet propulsion experiment (SPEX). To carry out the further experiments in the category, ISRO needs a runway to retrieve and reuse the vehicle, the sources said. When asked, K Sivan, director, Vikram Sarabhai Space Centre (VSSC), said the proposal was already there and a final approval has to be obtained before the work commences.